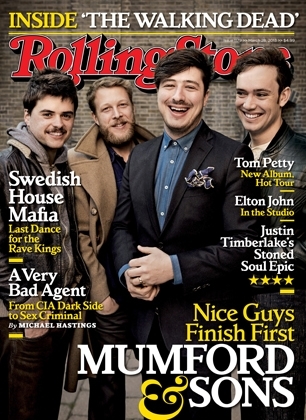 I’ve never heard a note by the Grammy Award-winning British band Mumford & Sons, but an interview leader Marcus Mumford did with Rolling Stone magazine caught my attention. Lyrics on the band’s recordings have many references to God, prayer and struggles with faith. But Mumford told Rolling Stone he doesn’t like the word ‘Christian’. I get where Mumford is coming from. Mention the word Christian to the average person – maybe even you – and the first thing (heck, often the ONLY thing) that comes to mind are words like “judgemental,” “negative” and “ignorant”. You might also think of the sexual abuse scandals in the Roman Catholic Church, the hate-filled protests of a certain tiny U.S. congregation (it’s not worth naming) or bizarre statements by a few televangelists. The media loves highlighting this stuff. And that means the life-giving good news of Christianity is harder to find than a government surplus. But, “When you get serious about finding Me and want it more than anything else, I’ll make sure you won’t be disappointed.” That’s a passage in the Bible, in a section called ‘Jeremiah’. And that’s God talking, by the way. Why am I – and the rest of humanity – here? Is there more to life than 70+ years of toil, taxes and failing health? Am I snuffed out of existence after my last breath, or is there something else? 2. “He who trusts in his riches will fall, but those who are right with God will grow like a green leaf.” That’s from the Bible, a section called Proverbs. And it means you can escape the drudgery of life when you leave behind the “he who has the most toys when he dies wins” attitude encouraged by our culture. Saved from what? From judgement. When you become a follower of Jesus (whom serious Christians believe is God’s son), God no longer sees all the bad things you’ve done and the good things you’ve failed to do. He sees you like he sees Jesus: perfect, without a single blemish. Interesting post. I appreciate the conversational tone here. As a former aspiring rock musician, who is also a Christian, I can relate to Mumford’s stance on claiming the religion. It has nothing to do with being ashamed with Christ. For me, it was the hesitation of being set aside as a “christian group.” I’d rather just be a band, a guy, saying what matters to me. Once your band is labeled, everyone views you in a different light and keeps you at a distance. At least, that’s what I experienced. Some of our “Christian labeling” drives me crazy anyways. I feel that Christ is bigger than a brand. It is so sad when people who have been disillusioned by the church throw the baby out with the bathwater. Jesus warned us that we would be persecuted and hated by the world just as He was. We need to stay true to Him and trust that all will be well. Blessings and Happy Easter, Frank! Interesting too that Mumford’s parents are leaders in the UK Vineyard church movement, so Marcus has been thoroughly exposed to evangelical Christianity. I’m not sure if you are a Mumford fan or not, but I find the religious TV appeals a pure con job and all this claiming to heal people is also very underhanded and deceiving. Why don’t they keep proper records of these so-called miricle healings? It’s as if they have found a way, American-style, to make money out of religion. I wonder what your thoughts would be on the TV religion culture. Just saw your link on a recent review of their show in Toronto, and had very similar thoughts when I read the RS article. I’ve been M&S fan from the start and enjoy the combination of powerful but simple music (even I can manage a facsimile on acoustic) with incredibly deep lyrics that pull from Christianity, philosophy, and Shakespeare. I do wonder if you noticed, as I did, how eagerly many blogs and periodicals declared “he/they say they’re not Christian!” when I didn’t get any such meaning/tone from the statement. I, too, am uncomfortable with much of the “culture” as it merely seems to be an effort in conformity. I don’t understand why people choose one religion over another. Fair enough to explore the meaning of life and all that, but why be a Christian, a Muslim, a Jew? To me these are labels that divide – though really it’s only a different colour suit; they are still all suits – the same at heart. There is as much wisdom in an a Humanist philosophy as in a Christian or Buddhist or African spirituality. Perhaps people choose based on the cultural suit that they are exposed to? P.S. I find I cannot connect with Mumford, despite their obvious skills as a live band. It doesn’t seem real to me. Hi Baron: Thanks for reading and commenting. I urge you, if you’re serious about this, to compare the claims of the faiths you mention. You’ll soon find they’re absolutely not the same at heart. I’m asking you to do this, Baron, because I firmly believe the decision you make will not only affect your life on this earth, it will effect you for all eternity. I have read a fair bit on this subject, including the Bible, The Koran, The Bagavad-Gita amongst others. I fundamentally disagree that they are really that different beyond the surface of identity. As soon as spiritual revelation is taken away from the living moment it can be used to serve the self. The words of Saul/Paul are not the words of Jesus. They are an interpretation of his ego. Did he change on the road? I don’t think so, personally. Who chose what stayed in the Bible and whose interests did this edited version serve? Belief and identity are illusions created by our ego. Our ego is what gets in the way of true connectivity, where nothing and no-one is excluded. Thanks for your comments. You’re certainly welcome to your viewpoint, including your opinion that what the Bible says happened to Paul didn’t really happen. Thanks for the links. Yes, I agree they are differences. My view is that these do not matter. What is much more important is finding the similarities in the original (and unedited) spiritual messages. And the realisation that when it comes to differences that it doesn’t have to be either/or, but instead is both/and. I’m not saying something didn’t happen to Paul on the road, rather that I am not sure it changed him much. Thanks for your comment. In our culture, portraying all faiths as similar is seen as a good thing. This means one must either accept who Jesus is and what He represents, or dismiss Him as a madman. He doesn’t give us any other choice.